Martin Röcken and his team at the Department of Dermatology, Eberhard Karls University Tuebingen, found that anti-cancer immunity is capable of driving cancers and single cancer cells into a permanent growth arrest. Scientifically this permanent growth arrest is called senescence. As complete cancer eradication is normally not feasible, deadly metastases normally result from surviving and regrowing cancer cells. The new data now explain, how immunity and immunotherapies can efficiently control surviving cancer cells and thus protect from cancer and metastases. „The major goal of cancer therapy is the eradication, if possible of all cancer cells. Yet, we have learned over the past 50 years that some cancer cells survive even the most aggressive, cancer cell-killing therapy. It is assumed that such surviving cancer cell restore the cancer and cause the deadly metastases. This casts doubt on a therapeutic strategies that focus exclusively on cancer cell killing. Therefore, it was repeatedly postulated that, in addition to cancer cell killing, other (immune-) mechanisms are needed to control cancer.“ – as summarized by professor Röcken. The Tuebingen research team uncovered a critical, so far unknown immune mechanism that allows to permanently paralyze growing cancer cells. They showed for the first time that immune responses can cause a permanent growth arrest in cancers and also in single cancer cells (1). Scientifically this permanent growth arrest is termed senescence (2, 3). Even under conditions where the immune system cannot kill the cancer, the two cytokines interferon (IFN) and tumor necrosis factor (TNF), may drive cancers into senescence. Thus, senescence induction causes a state, where ‚the cancer sleeps well controlled in his host’. This was first shown in an islet cancer of the pancreas. The same two cytokines, IFN and TNF, can drive a large number of mouse and human cancer cells into senescence. Clinically, this has two major consequences: Immune-induced senescence (figure 1) is obviously a physiological mechanism that contributes to the natural cancer control in humans. On the other side, recent data from cancer immune therapy suggest that the therapy is primarily efficient under conditions where the immune therapy causes permanent growth arrest of the metastases. Two mediators that are long known in cancer and infection immunology turn into the focus: interferon (IFN) and tumor necrosis factor (TNF). Many clinicians and researchers tried to destroy cancer and cancer-supplying vessels – like the Tuebingen researchers. Surprisingly, the Tuebingen group found that a certain combination of IFN and TNF protects mice from the development of islet cancers in the pancreas. 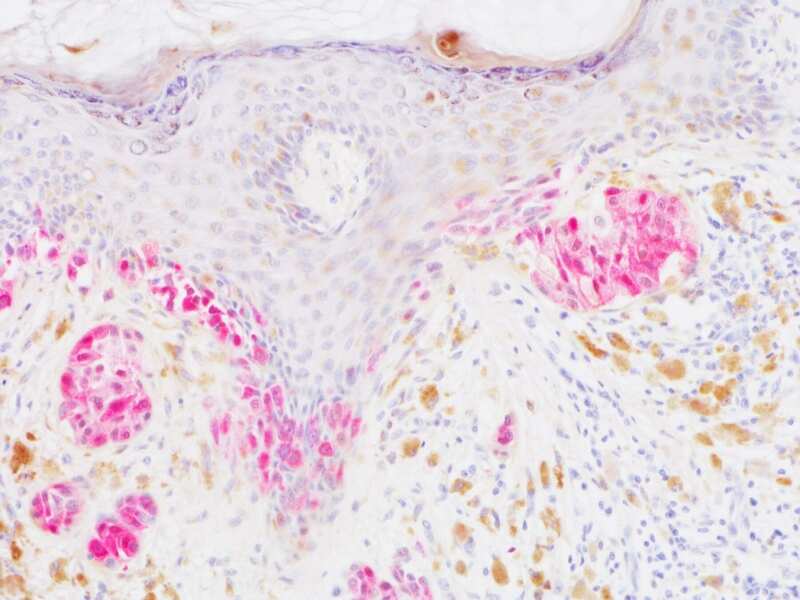 In the animals induction of senescence resulted in unexpectedly long protection from cancer. Even more important: when isolated from cancer prone animals, the ‘senescent cancer cells’ remained growth arrested without any further therapy, even when transferred into immune deficient, healthy mice. Thus, the senescent cancer cells had lost the aggressive behavior that characterizes cancer and remained well controlled.